Add line to file and replace SerialKey with your subscription serial key! ModSecurity is built-in with LiteSpeed, there is no need to install it. ModSecurity has been installed successfully. Installation of ModSecurity Rule Set has been finished. 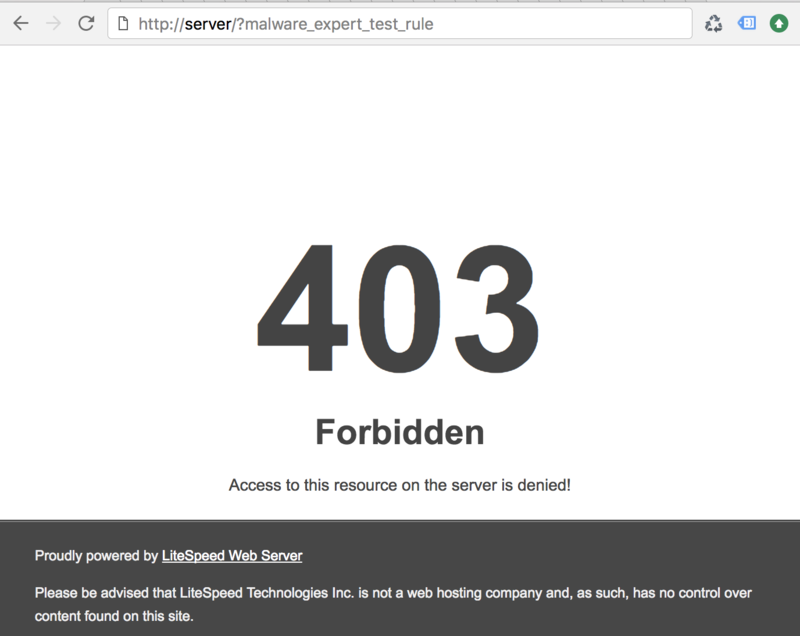 Refresh page twice, because LiteSpeed load rules after first request (feature, not bug).